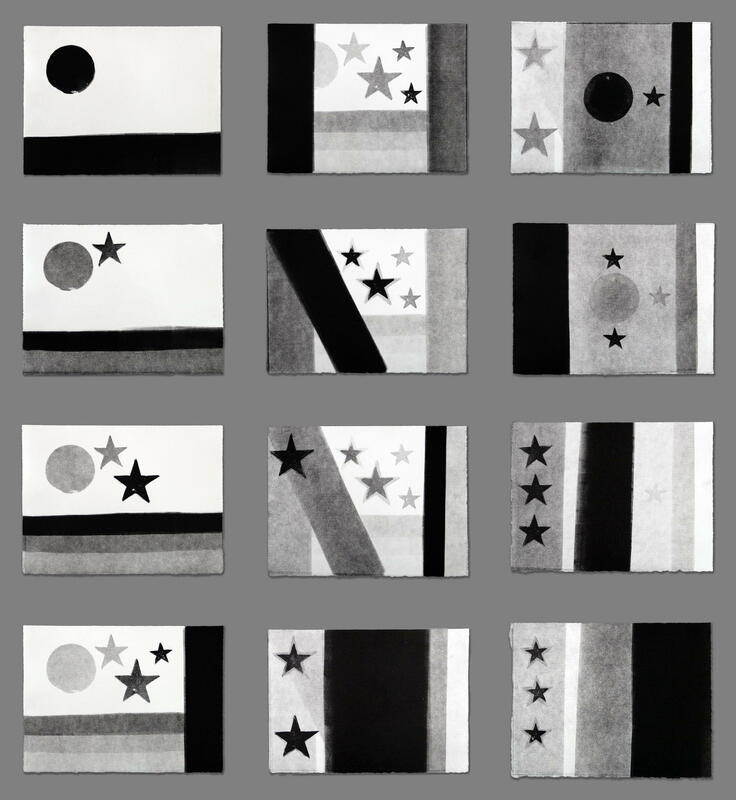 These are serial monoprints I did at Vermont Studio Center in March of 2010. 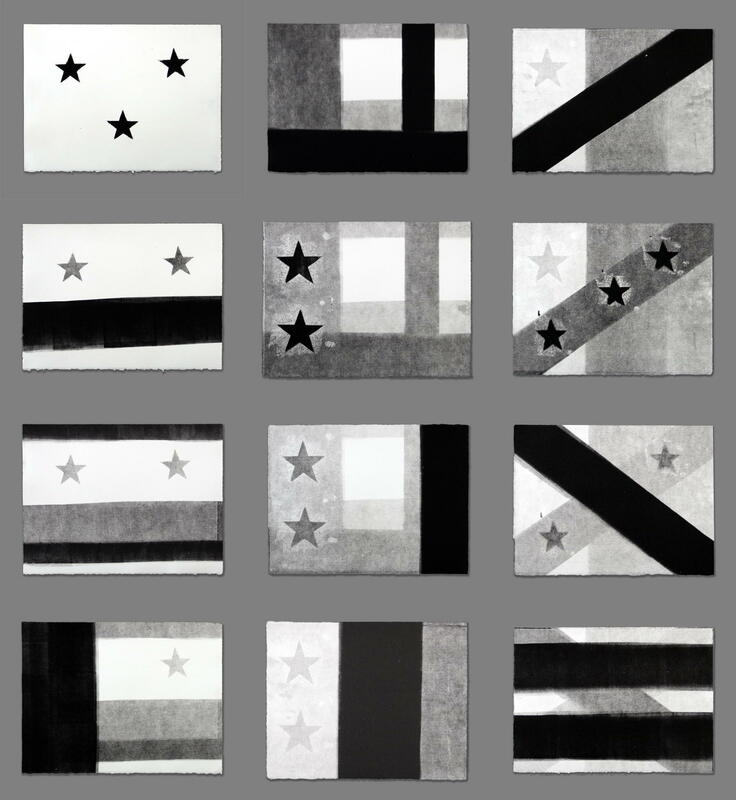 I used rollers, simple stencils, and stamps to create images that simulated flags and flag symbology; the name “vexilla” (singular “vexillum”) comes from “vexilology”, or the study of flags. 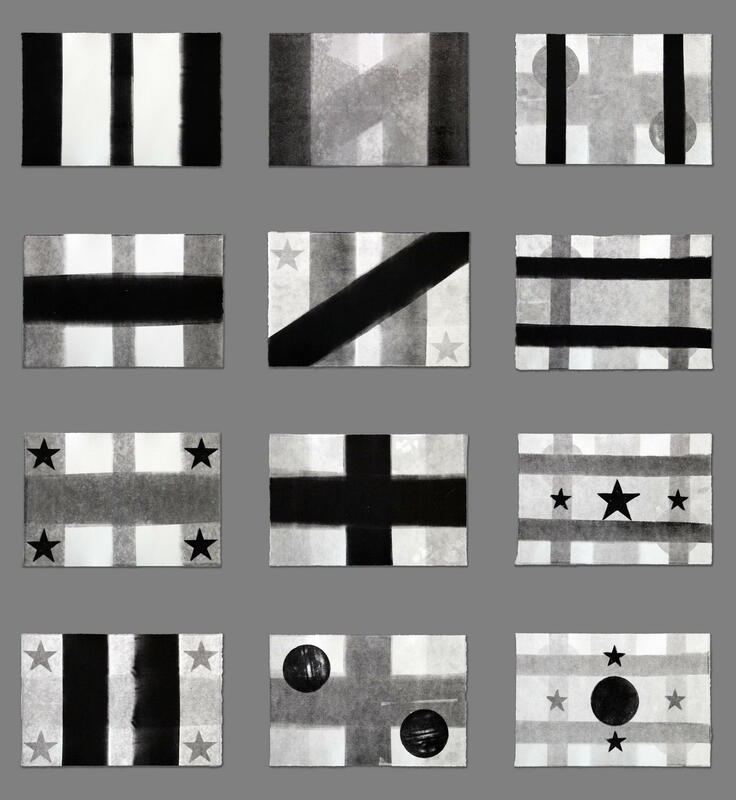 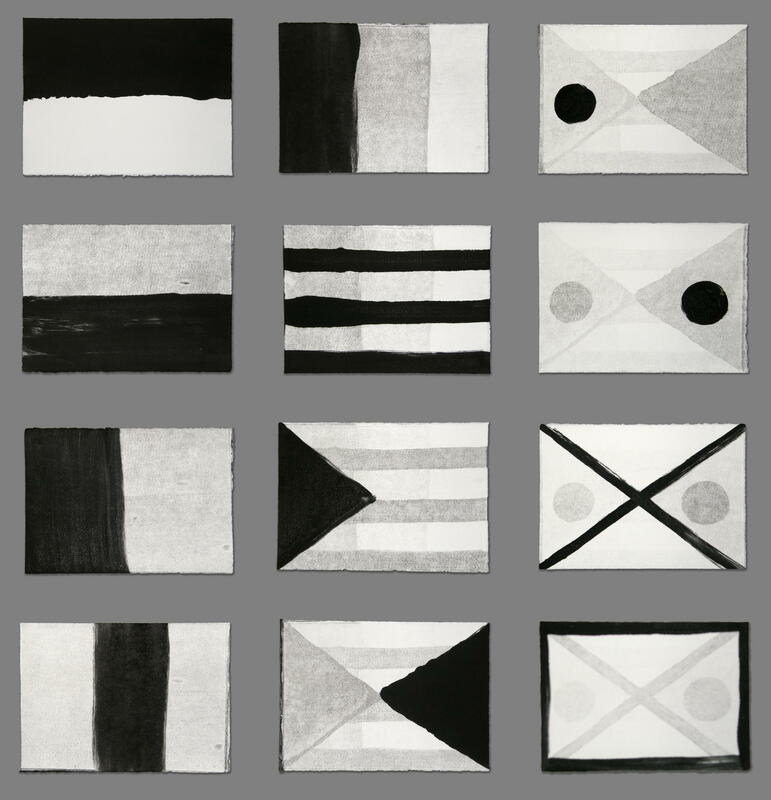 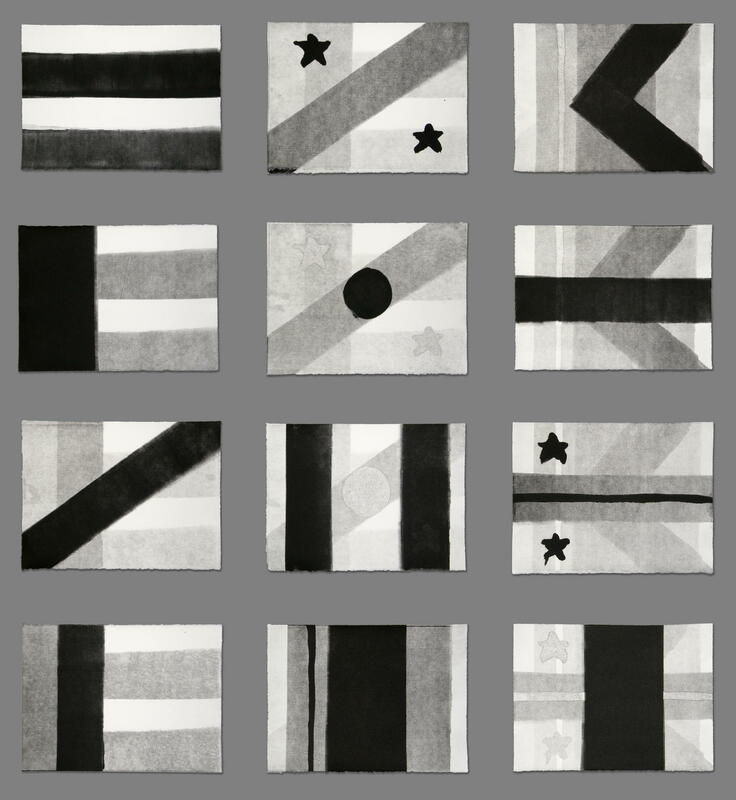 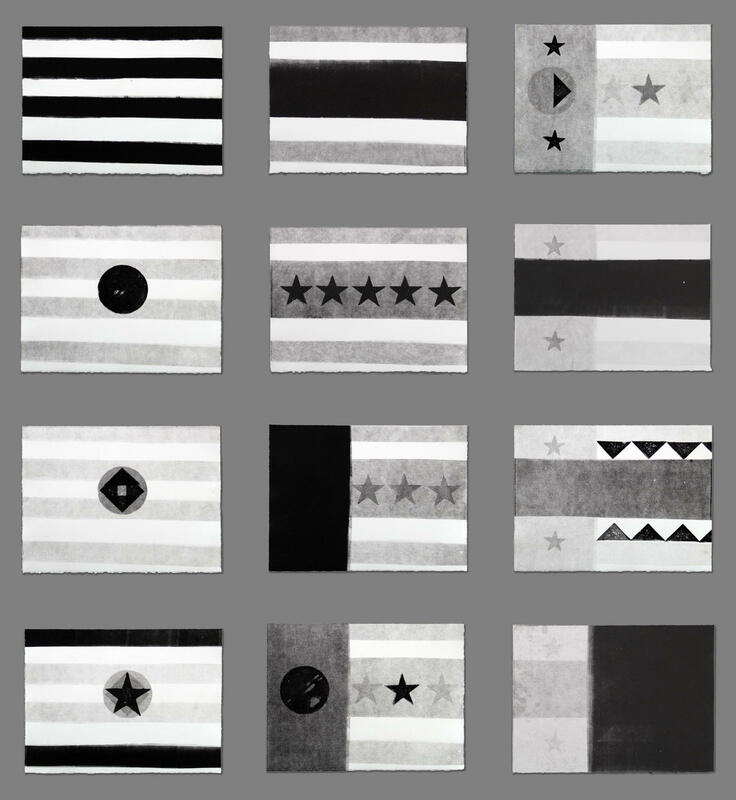 In each of the series, the progression starts at the upper left, and goes down each column in succession until it ends at the bottom right flag.